The song is actually a remix from an original, instrumental music by ZUN, Fate of Sixty Years from Touhou’s Phantasmagoria of Flower View. Pretty neat, I say so myself. The music or theme represents a character known as Shiki Eiki Yamaxanadu, the judge that decides whether one would end up in heaven or hell based on their deeds in life. She’s depicted in the game as someone who often go around, lecturing and nagging everyone she could find. But that itself has its own objective. Before actually judging someone at their death, she’s pretty fixed on making them living their lives clean or in other word, free of sins. Being someone who decides the fate of the dead, she prefers them to be able to go into heaven. I don’t know how it’s felt like deciding the fate of someone, but it ain’t fun to throw someone into the world of fiery flames (unless if you are an S). The first half clearly shows the judgement of the dead and Eiki’s duty. In the world, enormous amount of sins are made everyday, doesn’t matter who’s the person is. 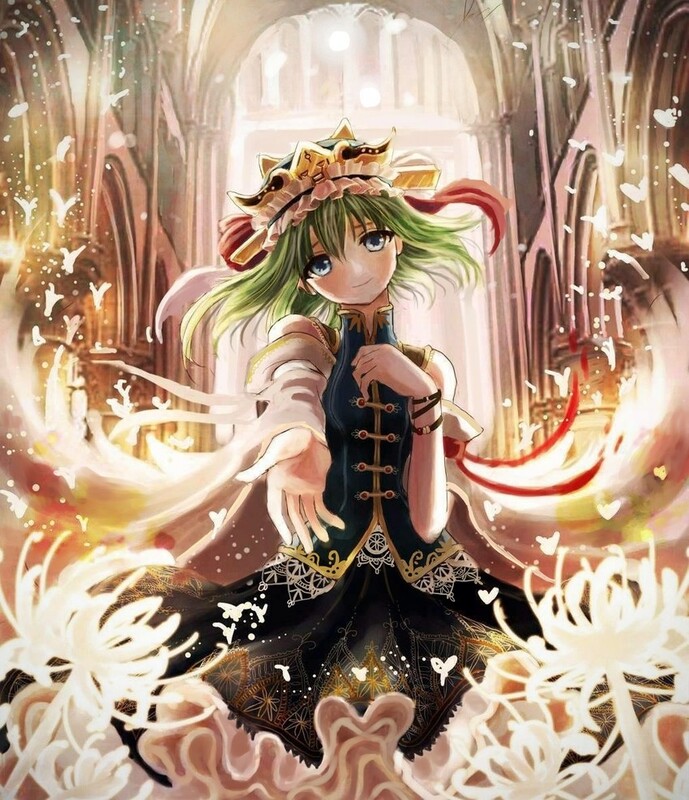 Like the court in any part of the world, sins and wrongdoings will not go unpunished, and it isn’t any different from Eiki’s duty. Even if you live a life that’s seemingly looked good to others, but the bad deeds you made will not go unnoticed. And only after we died that all our wrongdoings will be exposed. Then we will be given a fate that suited for our deeds during lifetime. Do you ever realise that whenever we make a sin, we felt something deep in our heart that keeps on tormenting our feeling, and our mouth seems unable to voice them out, to tell to other people? That is what it meant to be alone in the wasteland. Even if we did share with others proudly, no one will share the burden of the punishment, and we have to face the judgement alone. During our lives, sins will always be accumulated, whether we actually meant it or not like giving bad comments or offend someone. And also, no one would like their wrongdoings to be exposed to the public, especially if the man in question exist at the same place. We are simply afraid by the critics and the view of the public about ourselves. It cannot be said whether we will not commit any sins after this, but that’s even more reasons to do as much good deeds as we can in the remaining life we had. Like the title, RD-sounds doesn’t mess around during composing, especially the lyrics. It sounds very forceful as the song carries a very heavy message for the listener and not only for enjoyment. Merami’s voice actually fit the song very nicely as if the song is made only for her to sing. She sang some parts of the song with high voice and very pressed tone to give a sense of importance in that particular part of the lyrics. We can hear a lot of instruments being used in the song that made it even more compelling than ever and not send it into a chaotic mix of melodies. The lyrics themselves are very awesome and tell us a certain message for our own (unlike a certain anaconda song). It matches the origin and character of the theme very perfectly, giving this song an aesthetics of their own, one of a kind (Well, most of their songs are like that). Truly, this is another masterpiece that remained unknown to the public that didn’t know about touhou. Try your best in our life to be of a good person so that we will end up in heaven instead of the dreadful hell. Doesn’t matter what people will say about you, just act according to what you believed in as long as it holds the correct morality. Don’t give in just because other people pressure you in your life, but act without any hesitation nor any doubts in your route. Your actions will determine your fate, not the others. And don’t end up “only if I…” in the afterlife if you decides to abandon the path of righteousness. This entry was posted in Music and tagged touhou. Hey there friend. I nominated you for yet another Liebster award!